Sydney’s trusted and professional handyman services can do any job right! Having a deck means owning an ideal outdoor space for entertaining visitors and creating memories with the family. This space combines the comforts of your house with the beauty of nature, but because it is outside, it is exposed to the elements—and to get the most out of your deck, you need to look after it and adequately maintain it. To maintain your deck, check your deck regularly for issues or a need for repairs and ensure the space is properly vanished or stained. When it comes to adding a new deck or upgrading an existing one, we understand not everyone is informed on which vanishes work best with which woods. At Skill Pro Handyman, we offer our many years of experience in household repair, maintenance, and improvement. Our deck painting services for Sydney homes will help reduce the stress and effort of deck maintenance. The materials you use to treat and manage your deck can affect the appearance and quality of your deck. There are many benefits to choosing to rely on professional deck painting services in Parramatta instead of tackling staining and ongoing maintenance alone. Enjoy the colour: When you consult with us about your deck, we will ensure you are informed of every possible option for painting your deck. We can advise on which paints are best suited for certain woods and respond to your input on style. Instead of compromising, you’ll get the colour you want to match your deck designs. Hide those scratches: If you have moved into a new house and the deck looks worn and faded, perhaps all it needs is a fresh coat of paint. By applying a new coat of paint to your deck, you can instantly hide minor scratches and improve the overall look of the deck. Bring back some life: Adding colour to your deck doesn’t just hide its blemishes—it also makes the entire deck look better. If you have a deck that has lost its colour, it can often look old and unpleasant. A better-looking deck is only a coat of paint away. Everything matches: Finally, painting your deck can add a sense of unity to your residence. Our deck painting for Parramatta homes can help bring that unifying style to your deck. Your time is valuable. Trust Skill Pro Handyman, and you’ll no longer have to worry about maintaining your deck. 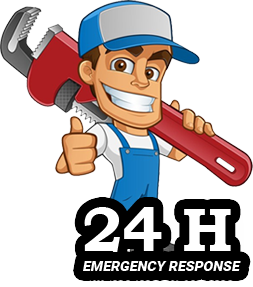 We are ready 24/7 to solve any problem you may have and complete all of our service and repairs with professional conduct and complete commitment to client satisfaction. Just contact us today and leave the rest up to our professionals. Sydney’s Trusted And Professional Handyman Services Can Do The Job Right!